I’ve always loved to read, anything and everything really. It was always a joy to go and stay with my grandparents in the school holidays and not only spend time with them and enjoy the coastal scenery, but also to read and read from their bookshelves. There would also be boxes of board games, having been played with and handed down and then the books….some were Readers Digest compendiums, others were from the “Just William” series, “Milly, Molly Mandy” and “Mrs Pepperpot”, there were always some Agatha Christie stories and tons of Enid Blyton. 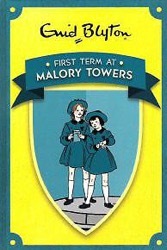 With the latter, the “Famous Five” series were my favourite but I also enjoyed the “Malory Towers” stories. D had one of those books as her reading book for this weekend and it’s been lovely to hear her read, not only for the confidence she shows and expression she uses, but also it’s been a bit of a throwback moment for me. I know there weren’t as much of a selection of authors and books around when I was D’s age, there is such a choice both instore and online now. It’s good to know there is a tween market which caters for our social media world, a world in which an image can be shared instantly, whether the person in the picture wants it to be or not. It’s also good to know that those old favourites are still around, waiting for a new audience to discover them and get whisked away to wherever the author wants to take them. For me, it was escapism, for D it’s a chance to try out new stories and, hopefully, provide conversation prompts – which is another big advantage. A nice way to spend some of our Sunday. I progressed after Enid Blyton to Stephen King books, alternating with Shirley Conran and a bit of Jackie Collins – not all at the same time – Pet Semetary used to scare the whatnots out of me, but it was a real page-turner! I won’t be pointing any of those D’s (or T’s!) way anytime soon!